So here's what I grabbed from my stash! These are actually some great items that I know I enjoy-- and as I started compiling the items, I realized it was following a bronzy/pink theme! :) I also realized I completely forgot to check my foundation/powder/concealer area... but I'll get that next time! Made another flatbread pizza- this time bbq chicken... Tyler & I are going to shoot a video on this soon for Beauty Vlogcast! Just saw a commercial for Rock of Ages- can't WAIT to see that! OMG. I have a new video up about my favorite self tanners! Cupcake has a new napping spot... on the top shelf of my closet. It kinda freaked me out the first time I saw her there! I love that bouncy blush in hot tamale! Such a cute pink! How fun! I use the Maybelline Bad to the Bronze almost everyday. It's great for a quick work look. all that makeup looks fantastic! i can't wait to hear reviews from you! What a pretty stash. Wish I had it. The Maybelline shadow compact looks so pretty. Aww thanks so much for the shout out! I love the Maybelline Eye Tattoos too! I actually just got that Revlon lipstick from a friend, super pretty color. And mmm bbq pizza, does want. I started doing this each week. I "shop" with products I will use for the following week. By using the same products all week I really get to know what I like and what needs to go. Shopping my stash is definitely something I need to do more often. A lot of times, really great products get forgotten! maybelline color tattoos are really something amazing. Loved all of ur goodies. Love shopping my own stash, I love finding old favorites that I have forgotten. You have some of my faves in your selection. I love doing this every now and then Emily, its like free shopping :-) It's great when you find stuff you forgot tou even had. These products all look gorgeous! I should definitely shop my stash soon, some of my products really do need more love! Thank for the idea! Can you tell us something about expiration dates of makeup? Can you do a tutorial using your 'shopped' products from this post? I would love to see how you would use the Bronze color tattoo! Bronze and bright pink is a great combo for summer! Great post! I love shopping my own stash and finding things I've forgotten about! Loves it! I've been try to shop my stash more lately. I took a tip from one of your previous videos on being a makeup rut. I bout a cute green basket from the Dollar Tree and weekly/every other week I rotate items items. I use the basket to put items in and take into the bathroom to do my make. What an excellent idea. I just put myself on a makeup crash diet after adding receipts for makeup for the last two months. Im not off of it until July. (Pray for me.) This will keep me occupied!! Ah love you blog, its awesome! I hope mine can one day be as successful as yours! Cheers! Thanks so much for recommending Experimental Beauty. I love discovering new bloggers/YTers and she's great! I also wanted to thank you for recommending Experimental Beauty. 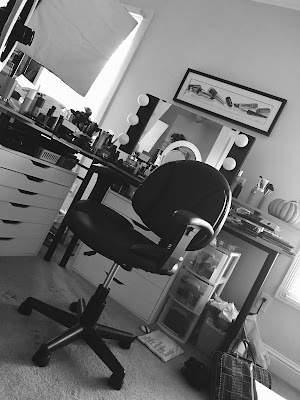 I am loving her YouTube channel and it has inspired me to go on a makeup "diet" until Sept. 1! These are my favorite kinds of blog posts. You've inspired me to go shop my own stash now! 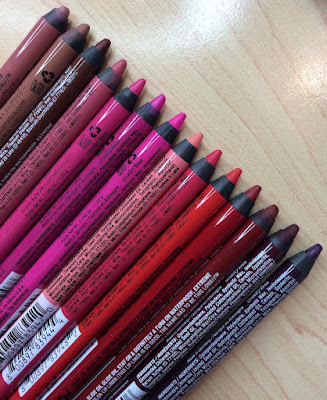 Jane Makeup Haul from Hautelook!